On Friday night John Wall was celebrating day 2 of his birthday weekend in Miami with Lou Williams and Meek Mill. 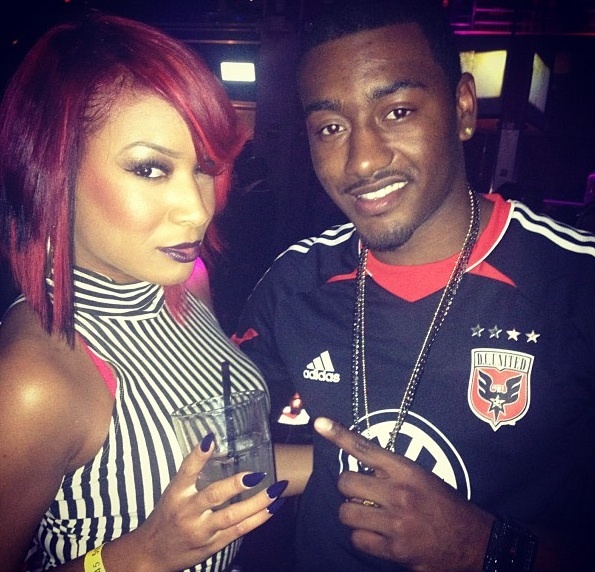 In one of the pictures tweeted from the night you can see that Wall was wearing a DC United shirt. Interesting choice. 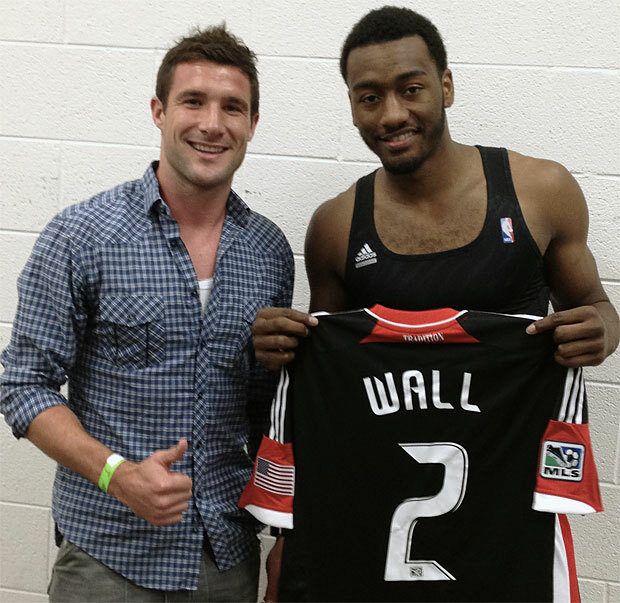 That may be Wall's custom jersey (pictured below) that he received from DC United player Chris Pontius. The jersey has a #2 on the back and even says 'Wall'. United saw an earlier report about Wall wearing a NY Red Bulls jersey, so they decided to give him his own DC jersey. I like all that hot S**T too!